Marafiq and Saur O&M JV Company (MaSa) is the first private water organization in Saudi Arabia based in Jubail and Yanbu founded in 2012, to serve among the largest Petro-Chemical industrial cities in the world. MaSa’s role is to operate and maintain the Marafiq utilities such as potable, reclaim and seawater cooling facilities. 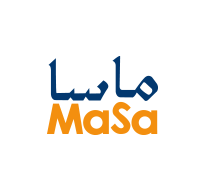 MaSa has forged its way to become one of the leading water company in the Kingdom of Saudi Arabia, through its unprecedented commitment to serve the industrial, commercial and residential areas in Jubail and Yanbu.